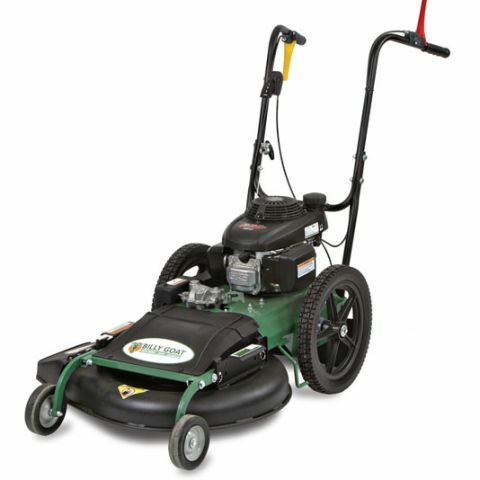 This amazing mower is powerful enough to easily cut through overgrown weeds and knee-high grasses, yet still provide a smooth cut for a perfectly manicured lawn. Have some property that you can't mow every week? 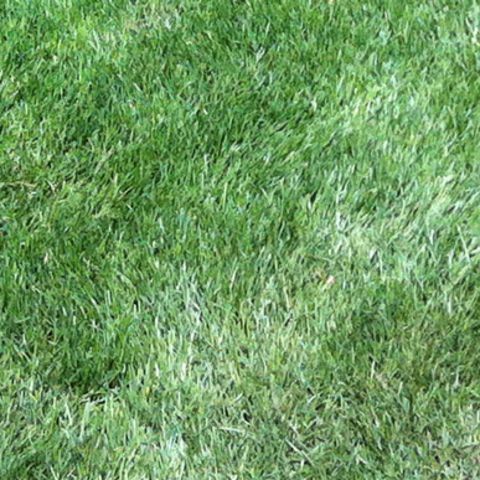 Have a lawn that always seems to be one step ahead of you? 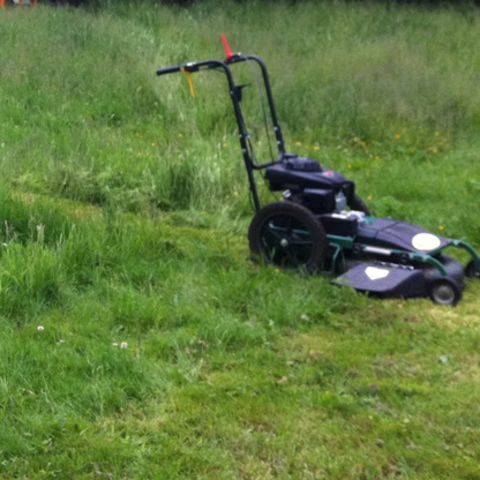 Once a lawn has past a certain length it will bog down the average lawn mower and make mowing a nightmare. Situations like these call for the High Weed Mower. This amazing mower is powerful enough to easily cut through overgrown weeds and knee-high grasses, yet still provide a smooth cut for a perfectly manicured lawn. The large rear wheels smooth out uneven surfaces and add stability on hillsides. A heavy-duty, three-speed shift on-the-fly transmission delivers safe and easy operation. 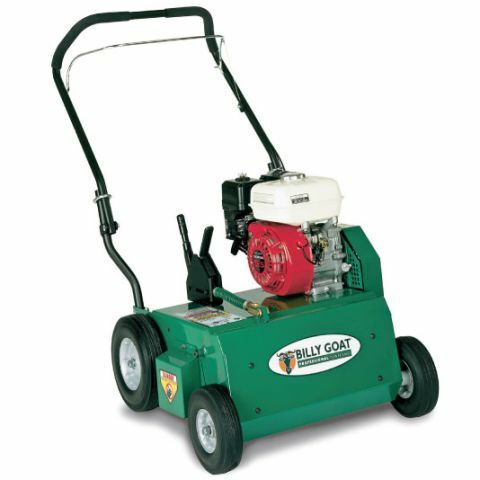 For power and durability, the High Weed mower features a commercial-duty Honda engine. 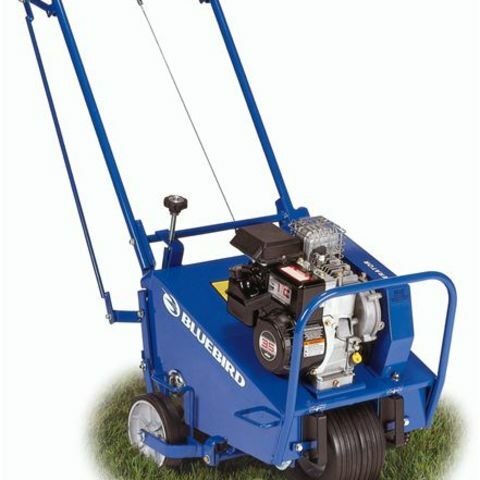 The floating 24" mowing deck is adjustable in 1/2" increments from 2 inches to 4 inches. Can this mower handle waist high weeds? Yes. Ideally you will be mowing knee high weeds and grass, however, we have seen this mower handle much taller grass and weeds. Taller weeds may require manual maneuvering so that it does not cut off more than it can chew. 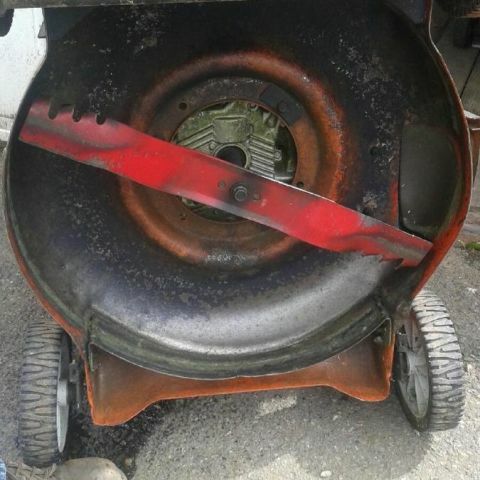 Under its own power it will attempt to move forward too fast and that can cause the mower to stall under the stain of trying to mow too much at once. 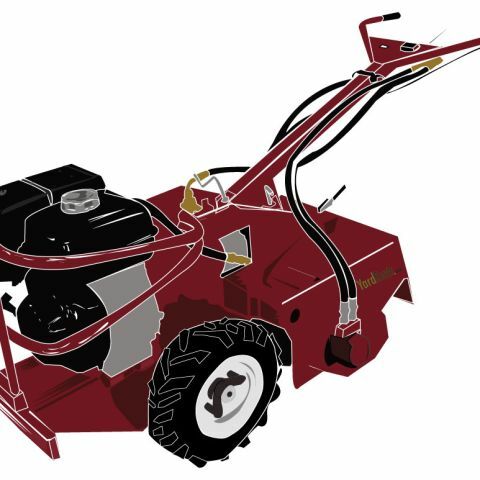 Can this mower handle brush or wooded growth? No. If the weed is too strong for you to pull apart with your hands then it's probably too large for the mower. You should use the Brush Cutter for these type of projects. Yes. Height can be adjusted in 1/2" increments between 2 and 4 inches. Identify above ground obstructions. High weeds might make it difficult to see obstructions so you may want to walk the area beforehand. Clear the area of Children and pets. Rocks and other hidden obstruction can become projectiles and can cause injury.